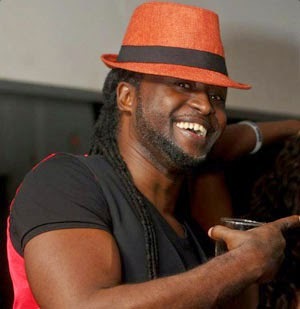 HIP-LIFE legend Reggie Rockstone says Ghanaian musicians and music right owners have become very vigilant on issues pertaining to the distribution of royalties by the Ghana Music Rights Organisation (GHAMRO). Reginald Rockstone Ossei was part of the several music right owners who pledged to ensure fairness, transparency and equity in the distribution of royalties among musicians in Ghana. “Right owners and musicians in Ghana have become vigilant. If you see the way things are moving then you can tell that people really want to make things right,” Reggie Rockstone told NEWS-ONE. Speaking on the recent incident in which Gyedu Blay Ambolley led a team of other musicians to lock up the offices of GHAMRO because they felt the interim board had outstayed their term, Rockstone stated that though the group was misinformed, the intent for the act was a positive one. “I know Uncle Ambolley and I know his integrity. When you know the person and his integrity then you know the intent was on a positive side,” he said. The interim board was instructed by a Human Rights Court to stay in office till they successfully hold elections to appoint a permanent board for GHAMRO. Rockstone added that he was sure Ambolley meant no harm because he (Ambolley) was very passionate about setting things right at GHAMRO. “Uncle Ambolley is really passionate about the course and I know this.He wants to set things right so I think it was definitely a misunderstanding,” he disclosed. Reggie Rockstone, who is currently a member of the VVIP music group, indicated that the series of events which took place to get the interim board at GHAMRO into office were part of a revolution which was meant to unite musicians. “There was a revolution and revolutions unite. There are going to be misunderstandings, suspicions and all of the above but what motivated the revolution is really well supported,” he noted.